Babies start learning the day they are born. Babies learn while they are in the womb. Yet, once they are born, learning to take a bottle is learning a new task and each day the learning progress goes on. It is never too early to teach a baby new tricks. What better to than helping your baby with new learning skills than toys? Buying a newborn baby a new toy can be fun for the baby and parents too. All department stores have educational toys for all ages with some sitting out for you to play with before buying. 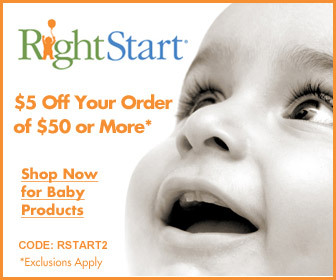 Check them out and look for the right one to teach your baby new skills from the beginning of their life. Language developments begin at birth and your baby learns by hearing sounds. Buying the child toys that talk and play music will increase their language skills as they grow. Hearing is critical to a baby’s health; if you notice something is not right consult your doctor right away. Babies first doll can be educational experience. Infants learn to cuddle, coo, touching and can teeth on them too. Look around to find the right one. The toys are available for boys or girls so they will both enjoy this new learning experience. The different shapes on the face and head will help them learn textures skills. Try getting a doll with different touches of clothing like silk and cottons. Getting one with knotted feet gives baby something to teeth on. Make sure when selecting your baby a new doll that it doesn’t have any harmful parts that may come off like buttons. Buy your new baby a frog that sings to them. These little frogs are cute and cuddly and will sing when it is touch in the right spot, teaching baby new touches and sounds as they begin their journey ahead in time. Videos are now being made for the newborn up. Be sure to check the age ranges on these because they come in different age groups. These videos are to teach the baby new sounds and as they start to watch it they will but the pictures and words together programming their brains by putting the picture and voice together. Musical teething rings are different teaching your new baby different textures, music sounds and some come with a mirror. Mirrors teach them to know who they are and see their own expressions. The easy grip made just for the baby in mind is great to teach them how to hold things. Crib mobiles are neat and come in many different shapes playing music to your baby while sleeping. Crib mobiles teach the baby movement by turning sounds from the music, and the colors and shapes keeping their attention. Learning is the key for your newborn. Bath toys are available that make sounds and can be played with the water with support. The toys that are musical attach over the tub or sink and the baby learns to reach for them. Toys that are made for the water are sponge that your can wash them with teaching again the different texture.